Notice: The Red, Green and Blue color options have been discontinued. Please contact us for stock availability. 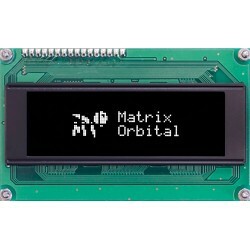 Designed, supported and Made in CANADA The OK204-25 is a 20x4 intelligent OLED display. Engineered to quickly and easily add a powerful HMI to any application. Multiple communication protocols such as Serial RS232, TTL, I2C, and USB communication modes allow the OK204-25 OLED to be connected to a wide variety of host controllers. Our Intelligent Character OLED displays provides you with a cost-effective industrial HMI user interface solution for that great product/project you are developing. This OLED displays features optional on-board large and medium digits, bar graphs all with the convenience of a 25 key matrix keypad will allow fast development for any application. OLED technology improves readability by offering a high contrast display with wide viewing angles and requires significantly less power to operate than VFD or even LCD units. PDF style Drawing for the OK204-25-USB Revision 3.0. PDF style Drawing for the OK204-25-422 Revision 3.0. PDF Drawing for the Standard OK204-25 Revision 3.0. Solidworks .step style 3D Drawing for the OK204-25-USB PCB Revision 3.0. Solidworks .step style 3D Drawing for the OK204-25-422 PCB Revision 3.0. Solidworks .step style 3D Drawing for the Standard OK204-25 PCB Revision 3.0. DWG style Drawing for the OK204-25-USB Revision 3.0. DWG style Drawing for the OK204-25-422 Revision 3.0. DWG style Drawing for the Standard OK204-25 Revision 3.0. Mounting bezel for 20x4 displays made from textured black ABS. Includes: .. 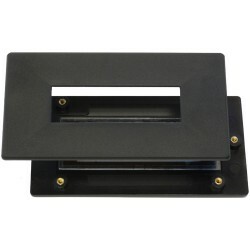 Mounting bezel for 20x4 displays made from textured black ABS. 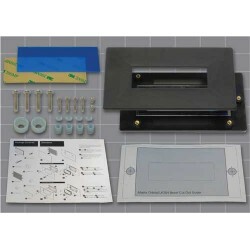 This kit includes all mounting hardwa..